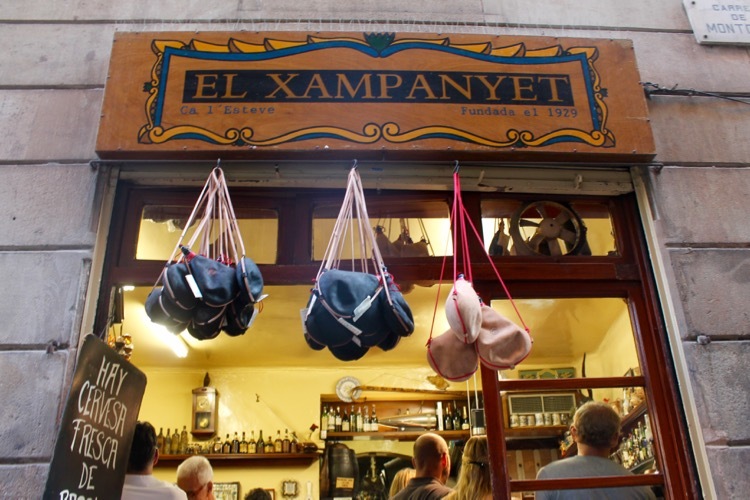 El Xampanyet is a typical Spanish tapas bar, situated in the Born district. It’s one of the best-known bars in Barcelona. This tapas bar was established in 1929 by a mythical family. Untill now, it has already run by the 3rd generation. The names comes from the bubbly white wine “El Xampanyet”, which they serve as a typical bar drink. At this place, there is a familial atmosphere that is always full of numerous tourists. The decoration remained almost the same since the beginning with old signs, tiles and elements of a cellar, which creates a very authentic environment. 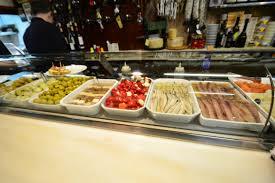 They serve a great variety of tapas with high-quality, such as anchovies, salted cheeses, Iberian sausages and a varied offer of preservers. It’s not really a place to have dinner but El Xampanyet is perfect for a very nice aperitif with some bites! 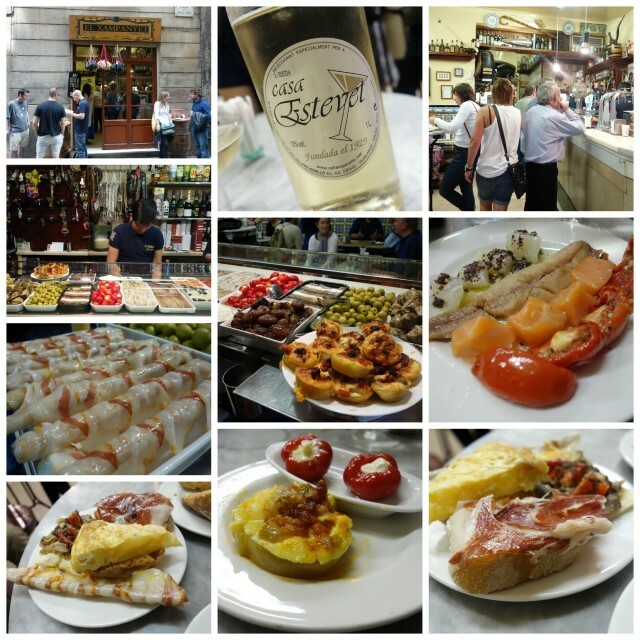 Dishes: Xampanyet, sparkling white wine, Cantabrian anchovies, tapas, cheeses, ham, preserves. Fresh and typical tapas are served there! I recommend this restaurant because they have very good tapas which were just delicious!